Film and Television Production: Why Isn't Caitlyn Jenner Tweeting About It? Why Isn't Caitlyn Jenner Tweeting About It? However, I was deeply saddened earlier during the week one morning on my way to work. I was listening to a segment on KPCC about ways in which producers will shorten the awards show. It was heartbreaking to hear that I won’t get to hear my two favorite songs performed live simply because they are not “commercial” enough. As opposed to having all five nominated artists perform their songs like they normally do, this Sunday you’ll only be seeing The Weeknd (Earned It from Fifty Shades of Grey), Lady Gaga (Till It Happens to You from The Hunting Ground), and Sam Smith (Writing’s on the Wall from Spectre). I haven’t really jumped on the #OscarsSoWhite bandwagon or been vocal about the lack of diversity (I mean, it’s a good year for Mexicans. Viva México!) at this year’s awards, but I wonder if I now have observations in regards to this because these are my favorite songs, or because it is now beyond the lack of diversity in the acting category. 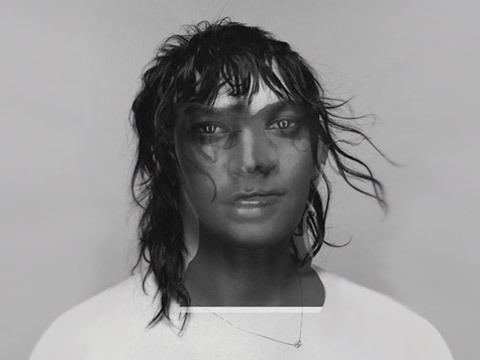 Anohni, who would have performed Manta Ray, is the first transgendered performer to ever be nominated in the category. Why is this not making headlines? Why isn’t Caitlyn Jenner tweeting about it? Sumi Jo, who would have performed Simple Song #3 is a South Korean soprano. I can only imagine how these two phenomenal singers felt when the weeks passed by after they learned they were nominated and not hearing back from anyone working on the show. Anohni wrote an open essay voicing her thoughts and concerns, and explains why she decided not to attend the ceremony on Sunday. This blogpost is not a rant but an observation. I wrote this because I’m a fan of both songs (and movies) and wanted to bring it to your attention since no one really is. If you have not listened to these fantastic songs, you can listen to them below.